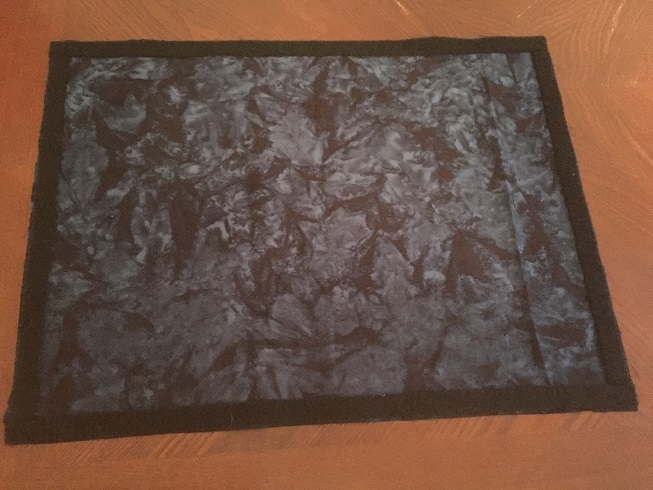 I recently bought some nice batik fabric that I would like to use to cover the grills of my speaker cabs. I was just wondering if anyone has done this with their cabs and if you have any suggestions for constructing frames or the best way to attach the fabric. I would like to keep the metal grills underneath the fabric covers. Thanks! 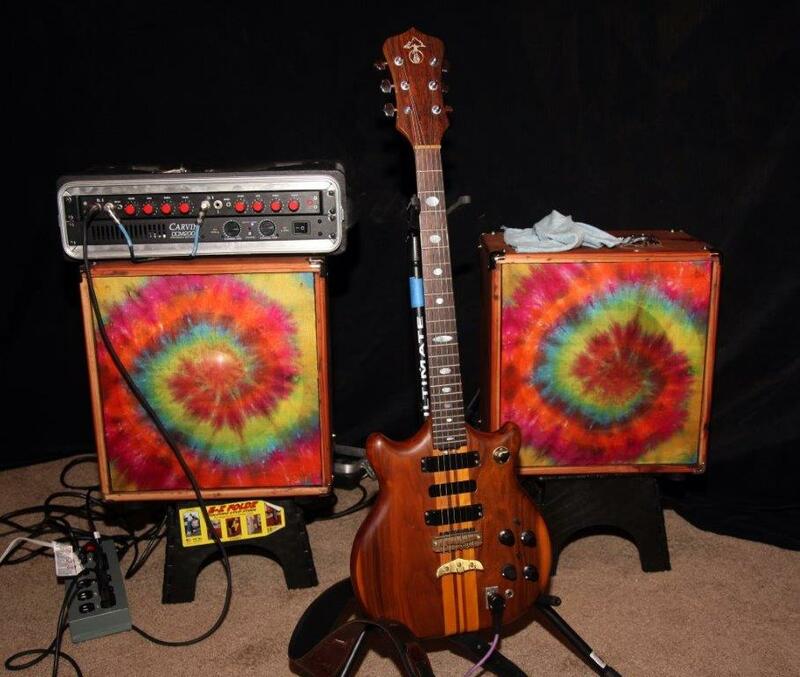 When I've built speaker cabinets I made wooden frames, painted them and then wrapped the grill cloth around the frame and stapled it on the backside. To keep them in place I used a bit of Velcro on the corners. If your metal grills are the diamond shaped type screwed to small wooden blocks on the baffle you might try attaching a wooden frame on the back of the grill and use that to staple the cloth to. You could then use the frame to attach the grill to the baffle. +1 on wood and staples... 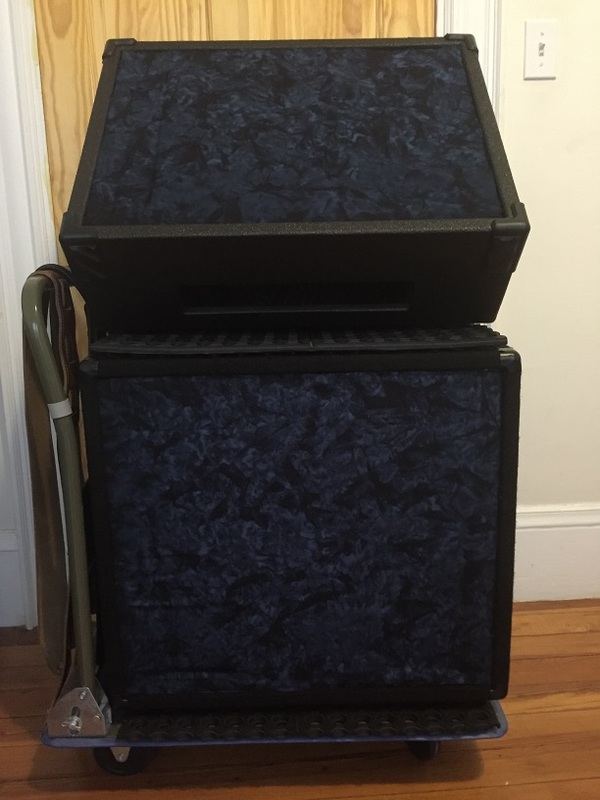 I re-grilled both my old Mesa Scout cabs with tweed. It's not as hard as it looks. Batiking (sp.?) would be a pretty cool look. Thanks for the ideas. I like the wooden frame with Velcro, I'll try that out first. I'll post some pics if it turns out okay. 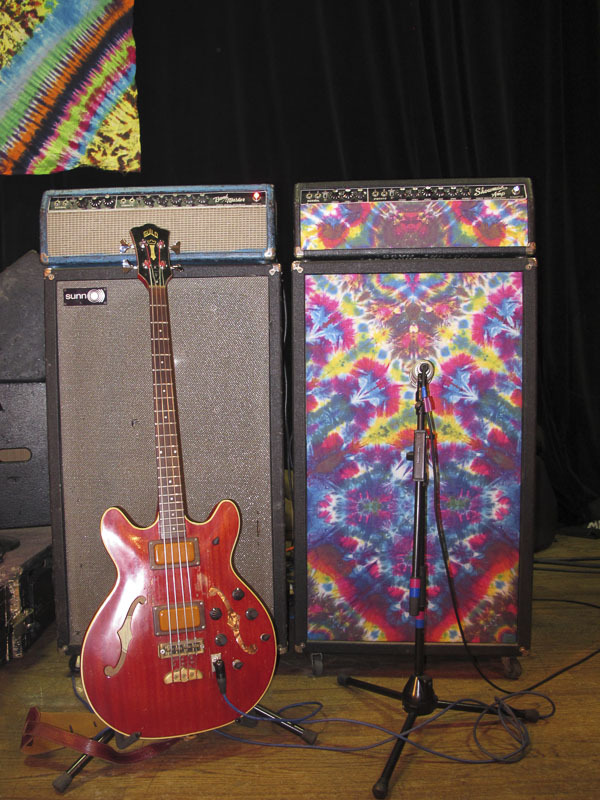 I did it to my Sunn 200S cab and it was just a question of unstapling all the ratty old fabric and stapling the new stuff on. The challenge is getting it taut, which fabric rarely wants to do. It does flap, but oh well, it looks cool. If you use the Velcro don't over do it or you will have a real bear of a time removing the grill. I would also add a pull tab near one corner. Something like a bit of leather stapled to the back and allowed to stick out the front. Here's my fabric covered cabs. I had the material installed when the cabs were built. Very nice cabs guys; and Keith, the corner tab is a great idea. Thanks! Well, I took Keith's advice and went with velcro, but decided I didn't need to build a frame. Instead I lined the fabric edge with Velcro (photo 1) and then the edge of the cab metal grill with the other side of the velcro. I then just attached the fabric, stretching it into place. It works great and was easy! Nice job. Good idea on just using the Velcro to attach the cloth to the existing grill. Here's my 1966 Bandmaster. It had the paisley covers when I bought it. I was told they were put on in the 60's - sure looks it. They appear to have been mounted right over the stock grill material. I wish you could still get paisley like that. You can - you just have to find the right sugar cube. 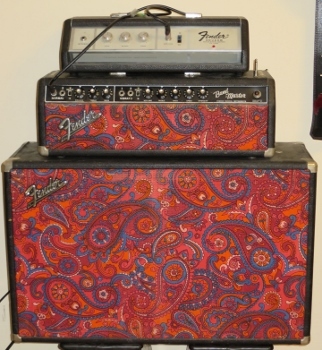 I love the paisley, I gotta believe a biologist came up with that pattern! Or a mathematician. Paisley is quite fractal like.